Marriage is no trivial matter – in fact it will impact all areas of your life, including your finances. There are obvious advantages, like doubling your income without doubling your expenses, and reaching your shared goals more quickly. However, financial differences are known to place a huge strain on any relationship if not carefully thought and talked through from the onset. Not only do you need to carefully evaluate your marriage contract and related issues, but you will want to ensure that your partner is financially cared for and protected should something unforeseen like disability, illness or even death come your way. 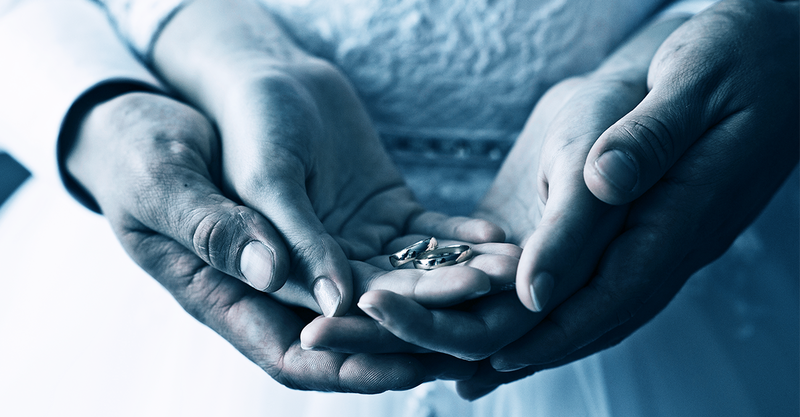 Apart from seeking advice from a professional advisor, van Niekerk suggests that you consider the following five critical factors before taking your vows – for the sake of both you and your spouse. Have you decided on your marriage contract? This means joint ownership of assets. All the things you own and all your debts are put together in a single, joint estate. Everything that you both acquired before the marriage also becomes part of the joint estate. This only comes in force if an antenuptial contract is signed. This allows both partners to set out who owns what and if anything is to be shared should the marriage end. Finding it difficult to make up your mind? It is very difficult to change your marriage contract after the wedding. Consult a professional financial adviser to guide you in making your decision. Do you have assets that you would like to protect? An asset is anything of value that you own, including rights to property. Keep detailed records of your pre-marital assets. Ensure that you are able to identify which funds you had prior to your marriage, and which you obtained thereafter. This will help you claim your share of assets in the event of a divorce or the death of your spouse. Many people make the mistake of thinking that something they own can only be considered an asset if it is an item of high value. This is incorrect. An asset is anything of value that can be converted into cash or transferred to another person, including certain rights that cannot be converted into cash. Assets include personal property such as furniture and motor vehicles, as well as investments. If you get married in community of property, retirement savings that you accumulated before your marriage will become part of your joint estate if you don’t protect them. Consult an attorney as well as a financial adviser to assist you with making a suitable decision, but note that only attorneys may draft antenuptial contracts. Will this be your first marriage? Educate yourself about the advantages and disadvantages of the different types of marriage contracts. If you marry in community of property, half of your assets will belong to your partner – unlike an antenuptial contract, which will give you some protection over your assets and allow you to choose the accrual system. If you have assets from a previous marriage that you want to protect, make sure you enter into an antenuptial agreement. Consult a professional financial adviser to ensure that you are still able to meet your legal commitments to your ex-spouse and children (if any). Do you have children from a previous marriage/relationship? Create a testamentary trust in your will for your children. Ensure that there will be enough money for the trustees to provide your children with the opportunities they deserve. If you plan on having children, there are a number of investment opportunities to help you create a bright future for them. Speak to a professional financial adviser so that he or she can assist you. Are you satisfied that you have a comprehensive financial plan in place? Good. Review your plan whenever your personal or work circumstances change to ensure that your assets are protected, that your savings plan still makes sense and that your spouse and family members are financially protected in the event of you or your spouse’s disability, illness or death. Don’t delay. Make an appointment with a professional advisor today. Remember, you now have a spouse and a family to take into consideration, so make sure that you and your loved ones are financially secure and protected from the financial impact of unforeseen events like disability, illness and death. If you have any questions, speak to your Indwe BlueStar advisor on 011 831 8000. Indwe Financial Services t/as Indwe BlueStar forms part of the Indwe Group and operates under the FSP licence of Sanlam Life Ltd. If you are interested in Indwe BlueStar or need more information, please visit: bit.ly/2OQGhjN.